Serious Snowfall is expected after November 20th! If you are going on a ski holiday to Bulgaria this year and have any concerns about the weather and wonder if there will be snow then we can confirm that there will be as reports have suggested that there would be a serious snowfall just after 20th of November 2010. This means that skiing in December will be perfect for those wanting to get away for Christmas. The reports we made by Petar Yankov, a meteorologist from the Bulgarian company TV-MET. 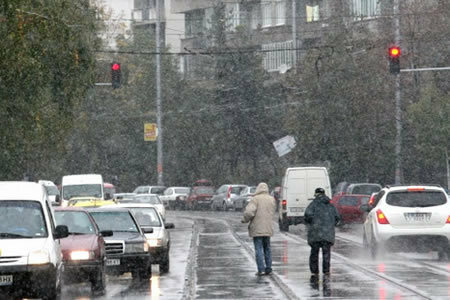 During this time in November, the temperatures are expected to be 1-2 degrees lower than the average for the month, which means that the minimum temperatures will be 7-8 degrees Celsius, while the maximum – 12-17 degrees Celsius. So book the flight and hotel, pack your skies and ski boots and plan your ski trip in Bulgaria. To top it all Balkan Holidays are glad to announce that we have already launched our late deals for the ski season so you can take full advantage of the great offers we have for you.